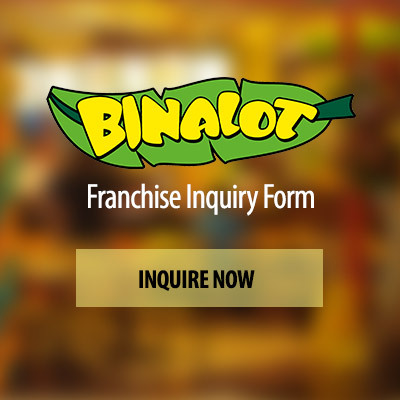 Binalot gives the Franchisee the privilege to use the Binalot business trade name, along with the accompanying logos and signage for business purposes. This privilege is limited to the duration of the franchise contract. Binalot has developed a business operations system that facilitates its branches to operate smoothly and profitably. This system has been developed specifically for the use of the branches and will be handed down to the Franchisee. Initial training of the Franchisee and the initial staff of the soon to open store shall be provided by Binalot, free of charge. Any additional staff for training shall be for the account of the Franchisee. Binalot follows a standard store design for greater brand impact. It has its accredited contractors who could build the store for the Franchisee. For revenue generation, marketing paraphernalia are to be provided by the Franchisor especially on the store opening day, promo launches and other marketing activities. These are designed to help promote the business as well as to boost customer awareness. Expenses incurred for marketing efforts that are done on a national scale are charged against the National Marketing Support Fund (NMSF). On the other hand, expenses for local marketing initiatives are for the account of the Franchisee. Binalot has a team of competent and dependable people who conduct regular field visits to give on-site assistance. This management tool serves to ensure and maintain quality control, to determine the specific needs of the store, and to address different concerns in line with the daily operations. It is also our policy to maintain our Research and Development efforts to continuously provide & develop innovative PINOY meals and new delivery service standards. Of the gross earnings to be made monthly, the Franchisee shall remit monthly a Royalty fee equivalent to five percent (5%) and a Marketing Support Fund of two percent (2%). 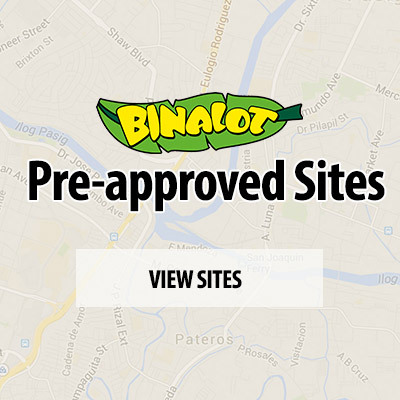 The Franchisee is required to purchase all products, supplies and packaging materials only from Binalot’s accredited vendors, unless otherwise specified. The Franchise Agreement will be valid for a period of six (6) years from the date of contract signing. The Franchisee may have the option to renew the contract upon mutual agreement with the Franchisor. Renewal fee is 50% of the then-current franchise fee.